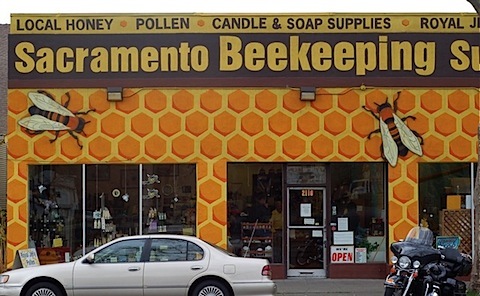 With spring just a few weeks away, it’s a busy day at the Sacramento Beekeeping Supplies. In between ringing up jars of local honey, three generations of the Stewart family answer a stream of questions with both patience and passion. If you’re curious about how bees make honey, which size wick to use in your candle-making, the science of animal communications or the health benefits of bee pollen, there’s no better place to spend an afternoon. 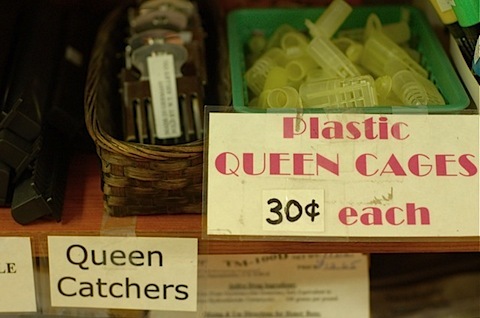 If you’re already a dedicated beekeeper, well, then, you’ve probably already met Nancy and Fred, the proprietor and the talker, respectively, who run this gem of a shop. They’re known and loved by apiarist throughout Northern California and have loyal customers extended throughout the west. Nancy opened the business in 1985 and ran the day-to-day operations, while Fred supplied bees to local orchards in his hours after work. 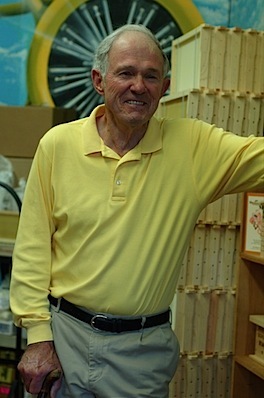 Once he retired, though, he was able to spend more time at the shop, and now, on any given day, you’ll find him leaning on his cane offering mini lectures on any topic from why hives swarm to the best way to catch a queen bee. 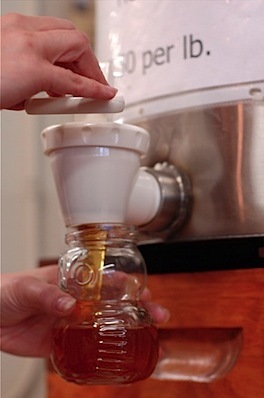 You can taste different varieties of honey at the tasting bar. 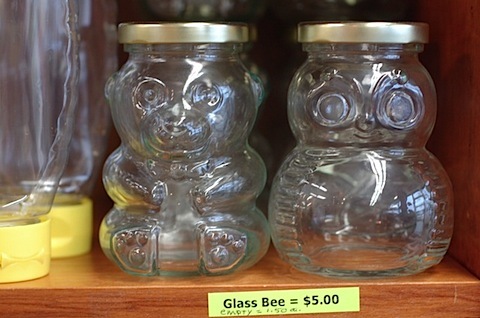 Choose your own too-cute jar to fill with one of the honeys that they keep on tap, or head to the bee-themed gift section for souvenirs that the TSA won’t confiscate. Crafty folks will love the back room, where candle molds, sheets of wax and Ukrainian egg kits (just in time for Easter) provide distraction during these rainy days. For now, I enjoy their honeys — sage, coastal wildflower, the unique Davis blend — but already hooked by their excitement, I can’t help daydreaming about my very own beginner’s beekeeping kit. Thanks for the shout out for local honey!!! Hey Thy: Oh my gosh, this post is so timely in my life! Billy and I just came back from our neighborhood street fair last weekend, the Glen Park Festival, and visited the apiary exhibit/stand w/ the SF beekeepers assn. We bought honey from bees who live and forage around GP and also a jar from around Dolores Park. One hive can yield 60 lbs of honey! We are definitely considering having an apiary in our yard. 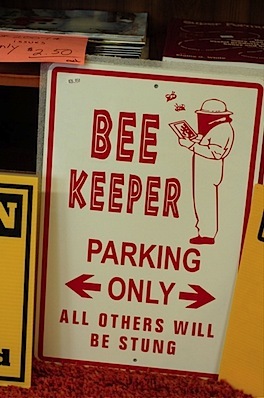 The SF beekeepers have meetings and classes at the Randall Museum. We’re going to check it out soon. I can’t believe I never heard of this store before; and I’m from Sac! Thanks for this. I love Randall Museum and wish I could take everyone one of their workshops. Glad to hear that you’re considering inviting bees to live in your yard — good luck with the hive!